Did you know that The Dutchman is a watchmaker? These shirts are from his watchmaking website. 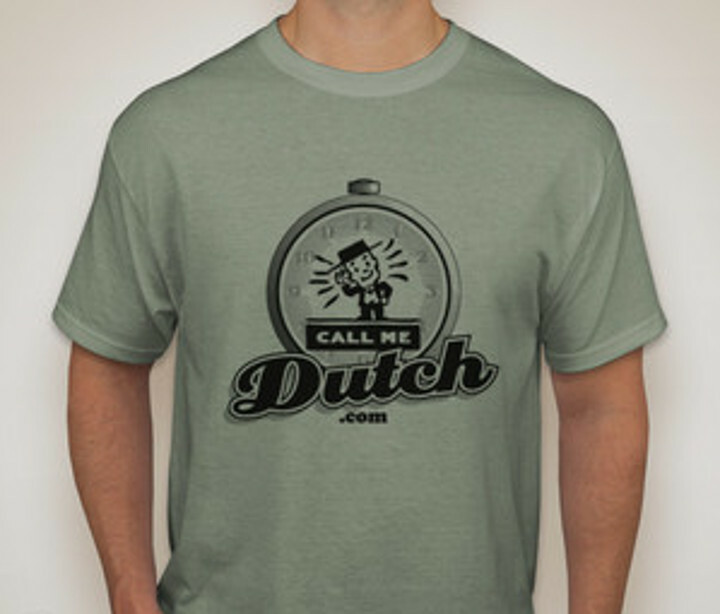 Stonewashed Green Hanes 50/50 Tagless® T-Shirt silkscreened with our logo of a Pennsylvania Dutch watchmaker listening to a pocket watch against a hex sign dial background and our CallMeDutch.Com banner. The back says "WATCHES - JEWELRY, HOROLOGICAL SUPPLIES"